The video game and the comic book series, not the philosophical topic. I could try the other one, but we'd be here for a while. Spoilers below the cut. 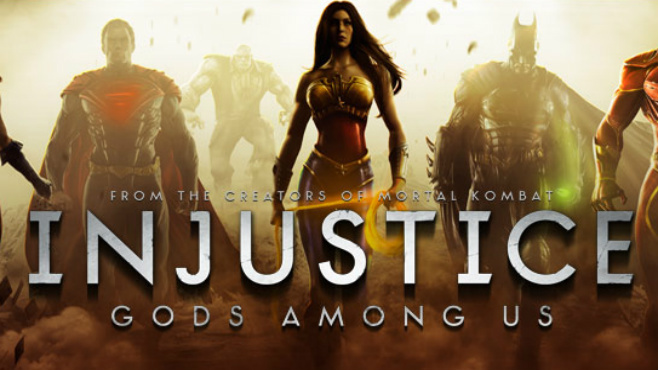 I really liked the game Injustice. The comic is... well, let's go with interesting; it acts as a backstory for why things are as they are in the game, and starts five years before the game. The basic storyline, for those of you that have neither played the game nor read the series is that, on an alternate earth (we'll call it Earth-I) from the normal DC one (Earth-1), Joker managed to trick Superman into killing Lois Lane and his unborn child, which triggers a deadman switch on Lois that sets off a nuke in Metropolis. Superman murders Joker in revenge and then decides the gloves are off. He begins to take over the world, forcing other heroes to join him or perish, killing or converting villains along the way, until the Earth-1 heroes get pulled over and help Earth-I Batman stop Superman. It's not one of the great works of literature is what I'm trying to say here. Part of the problem with the story, of course, is that Superman kills the Joker. It would be understandable, except he's Superman, who, as a general rule, doesn't kill. He has a great deal of self control, but perhaps this is a bridge too far, so it can be glossed over. But then it gets weirder, as the other heroes begin to come on board, including thoroughly good guys like Shazam, Flash, and Green Lantern. Wonder Woman seems bloodthirsty and all too happy to see Superman take over the world. Batman and Green Arrow are the only ones that really put up more than a token resistance, and Superman flat out kills Green Arrow for it. And then you find out that Lex Luthor is a benevolent industrialist and friend to Superman, and this is almost certainly the root cause of the problems. Now, that might seem odd. 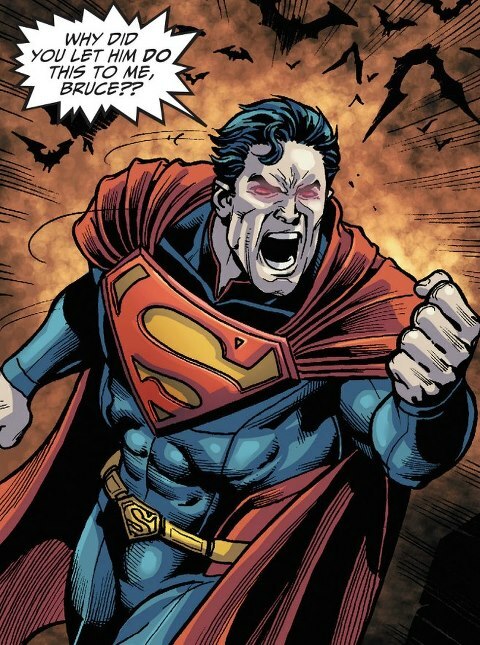 In the game, he's realized that Superman has gone too far and is working for Batman's resistance movement as a double agent. In the comic, he's presented as a really good guy. He knows the secret identities of the major heroes and employs minor ones to help improve the world; in the comic, Jesse Quick is shown as one of his employees when she rushes him to a bunker ahead of the blastwave from the Metropolis bomb. More importantly, he has, without the heroes' knowledge, helped to protect their identities and their loved ones from the threats that he could manage as a ridiculously wealthy human with a fleet of superhumans working for him. And that's when everything falls into place, how Earth-I can be so vastly different: because good Lex Luthor is far more dangerous to the world than evil Lex Luthor. 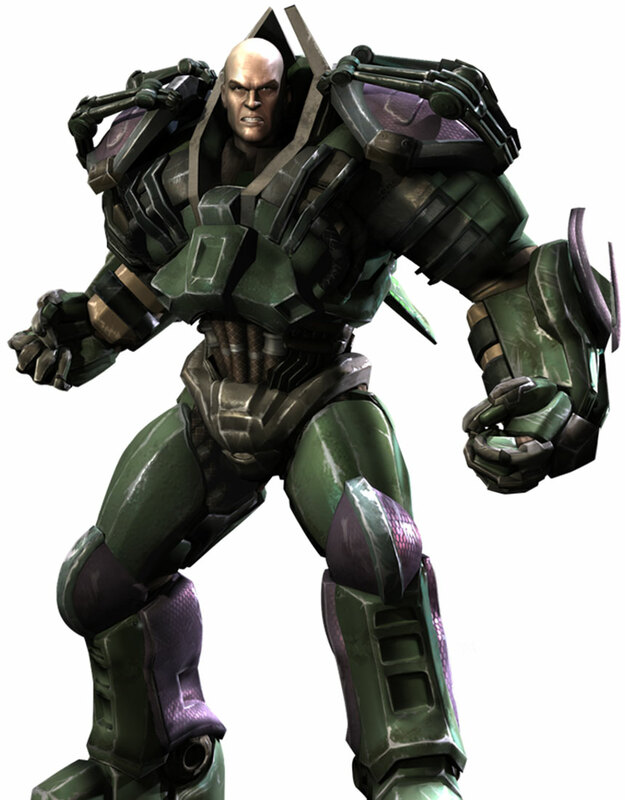 In a world where Lex Luthor is basically acting as an effective version of Batman, instead of the one where he personally goes out and punches muggers, the heroes like Superman, Green Lantern, Shazam, and the other powerhouses would never end up facing half of the villains that they do. And the problem there is that they would almost universally be the smart half. For the most part, the smart villains mostly either want money or recognition, both of which they can get working for a man like Earth-I Lex Luthor. A few of them are crazy, but an army of low-level superheroes can quietly deal with those, particularly if they're led by a man with Luthor's intellect. And a few of them are in someone else's court, entirely. Batman and Green Arrow's villains are largely untouched by this. Luthor, Queen, and Wayne are all intelligent industrialists with large amounts of money, each doing what they can to improve the world. Luthor likely, and correctly, deduced that they could keep their own houses in order. However, Batman's villains have always been more dangerous than Green Arrow's, on the whole, and this helps to explain why only one of them survived. The main street level vigilantes on Earth-I never forget how dangerous a smart lunatic can be, and they never forget how fine a line separates them from their enemies, and how easy it is to cross that line. Superman-I never had to deal with Luthor, Toyman, Ultra-Humanite or any of the other smart villains that required him to think with his head instead of his fists, keep his cool, and pull his punches. His enemies were almost solely guys like Doomsday, Parasite, and Bizarro, guys who didn't really need more of a solution than "hit until unconscious." Luthor's well-intended protection of Superman-I and the other Earth-I powerhouses kept him from learning all of the tools that Superman-1 had, like restraint and strategy, or dulled the ones that he did have, like humility and kindness. It's safe to assume the other powerhouse heroes were affected similarly; perhaps even more detrimental to their personalities, however, is the effect that a slightly more arrogant, violent, and aggressive Superman is likely to have on the community. On a related note, Flash's powers and his rogues gallery both encourage a thoughtful approach, even his more powerful ones; this probably explains his hesitancy to join Superman and his third-act return to heroism in the game. Flash is powerful but not a powerhouse like the others, and he has to deal in precision and intelligence, even when fighting powerful enemies. Lex Luthor is Superman's greatest villain, but in many ways he's what helps keep Superman grounded in his own humanity. Batman is Superman's friend, so while he sees Bruce Wayne's competency, he rarely has to test himself against it. But an enemy that hides his strength behind intelligence is one that requires a hero to always be aware of himself and his place in the world.